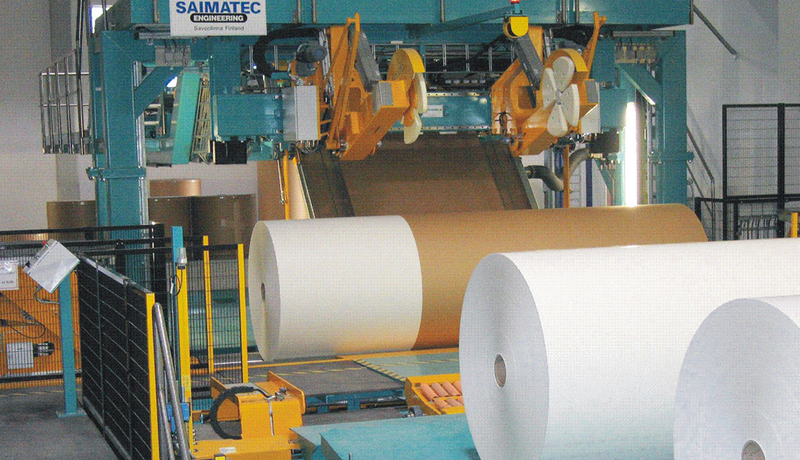 For mills not preferring full automation, the CombiWrap range of semi-automatic wraplines is a proven solution. In a semi-automatic system wrapping sequence itself operates auto-matically, just like in the RoboWrap system. Placing of inner and outer heads as well as shipping labels is operator’s task. In cases where the production figures are not that high, CombiWrap system is the economical solution with ease of operation. Jumbo rolls up to 5000 mm in width and 10 tons in weight are wrapped with CombiWrap Optima System.